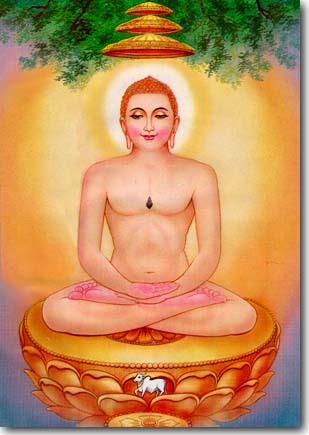 Jain Samaj Dwarka celebrated Mahavir Jayanti in Dwarka on 28th March, 2010 to mark the birth anniversary of Lord Mahavira –an apostle of Peace and Non-violeance and the last one in the galaxy of Twenty –four Tirthnakars. In the morning Prabhat Pheri- the procession, was carried out from Sector-6 near Kaveri Apartment in the morning at 6 30.a.m. The devotees recited jain bhajans, slogans –JIYO AUR JINE DO and spred the message of Lord Mahavira who is known as the greatest prophet of peace and social reformation throughout and after taking a round through various societies and market the procession reached at Elephanta Height in Sector-10 where Mrs. Alka Jain and Sh. Dinesh Jain with their family welcomed the procession and Jalpan was offered to the devotees. From there the procession took turn towards DDA Park and Golok Dharm Temple and finally reached at Central Market at Sector-10 at M/S Jain Timber, Opposite Sports Complex, Dwarka. Here religious hymn and Aarti was performed followed by refreshment by Smt. Vandana Jain and Sh. Sanjay Jain and their family. 10 Things to do in a Paradise Called Kashmir.